Here you will be able to learn more about our current projects in Forestry, Agriculture, Livestock, as well as Wildlife management. Also, you may place your orders Online for some of our products, track shipments and make PO modifications any time any day. Rancho Lobos is located approximately 50 Km southeast from Puerto Libertad Bay (Sea of Cortez) and 170 Km northwest from the Capital City of Hermosillo, Sonora, México. 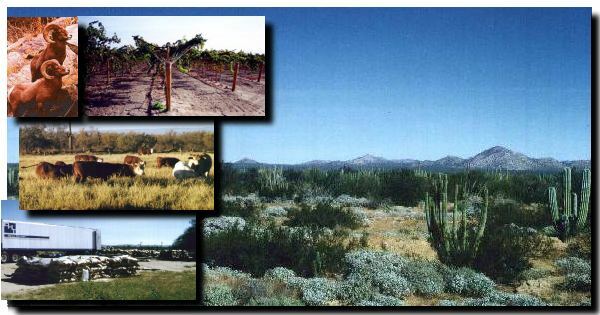 "Rancho Lobos" a private property of 22,833-50-72 Hectares (56,420.82 Acres) a true multi purpose ranch. Web Service & Design by INSA, Corp.